In the past few years, Cambodians have adopted cashless payments and money transfers, boosted by high smartphone penetration and cheap mobile data. Cambodia has traditionally had low formal banking interactions, preferring cash and gold for spending and saving, yet the digital revolution that has changed the way people across the world interact, communicate and shop, has gained a foothold among the tech savvy in Phnom Penh, and is proving popular in more and more of the country. It’s an exciting time to be in Cambodia, as no matter which company comes out on top in the crowded playing field, both consumers and merchants stand to gain from the competition and growth in the digital payment landscape. Topping up phones, paying bills, buying football tickets, paying for lunch, booking a bus ticket, sending your friend a few dollars — all are now only a few clicks away; and it remains to be seen what new uses of cashless payment solutions will further help Cambodian’s enjoy the benefits of more traditional banking services. Usage is still somewhat limited to Phnom Penh, but efforts to expand to regional hubs such as Siem Reap and Sihanoukville is being boosted by use of cashless options such as Alipay, WeChat and UnionPay by the increasing numbers of Chinese visitors. The true test for cashless payments however, is the 60% of the country living rurally and engaged in agriculture. Once a digital solution to their spending and saving needs proves itself, then Cambodia can truly said to have embraced cashless. 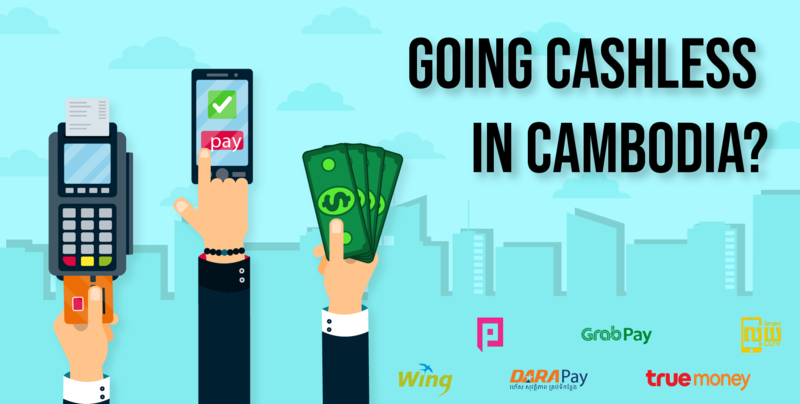 With new entrants to Cambodia’s fintech and digital services landscape entering regularly, Geeks is sure that it will not take long before cashless payments are as ubiquitous in the Kingdom as they are in other ASEAN countries. Until that point, we will continue to bring you all the news in the sector, and the latest exciting developments!